Class V Stormwater Wells | Geo-Technology Associates, Inc.
For development sites in Pennsylvania, management of stormwater volumes is required to avoid increasing runoff relative to pre-development conditions. In areas of carbonate rocks, such as limestone, meeting these requirements with conventional infiltration methods can prove very challenging due to low permeability soils and/or increased sinkhole development potential. Class V wells are designed to allow treated stormwater to enter into the rocks below the soil zone, reducing sinkhole concerns and increasing the potential for higher inflow rates. GTA provides services for Class V feasibility evaluation, works closely with engineers/developers to establish a work-able strategy, and coordinates with reviewing agencies to seek authorization/approval. Can allow for reduced sinkhole concern. Can be used conjunctively with other SWM strategies. Potentially smaller SWM basins and greater developable area. Flexibility for location of wells. Costs of implementation can be less than other PADEP-approved methods. 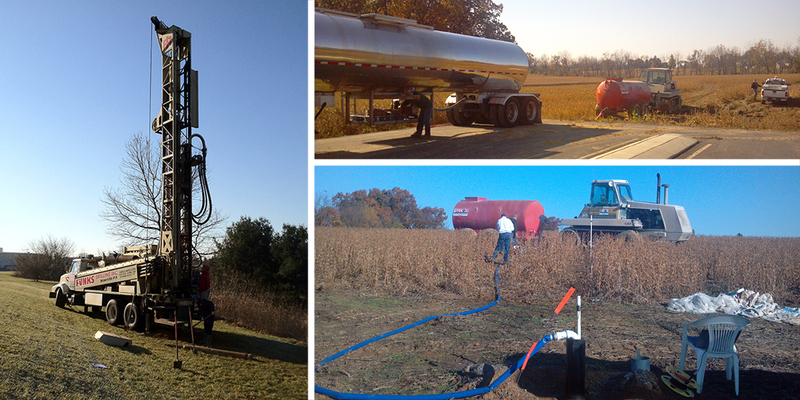 Remote sensing/geophysical evaluations for well siting. Test well drilling and installation. Test wells can be converted to Class V SWM wells. Hydraulic testing for design inflow rates. 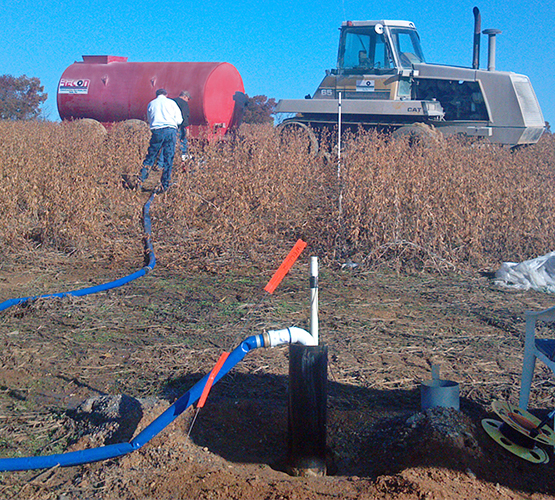 Water level monitoring and groundwater mounding analysis. Inventory of existing water supplies in site vicinity. USEPA Region III coordination for request of Class V authorization. Coordination as needed with local government reviewing agencies, PADEP and Soil Conservation District. 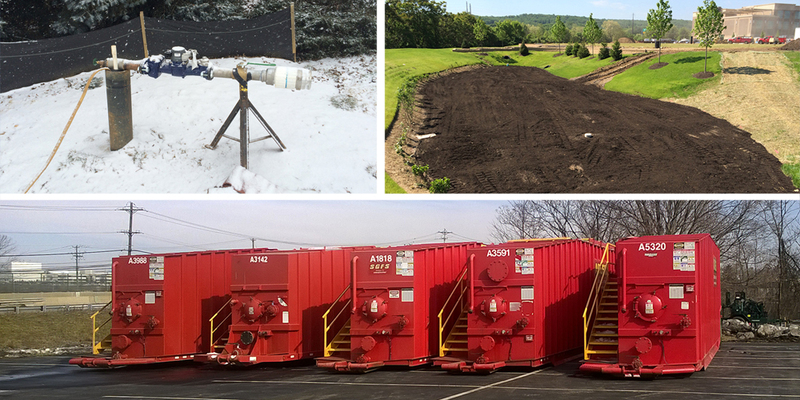 GTA performed a hydrogeologic evaluation for the use of Class V stormwater inflow wells at an approximately 580,000-SF warehouse/distribution facility located in Northampton County, Pennsylvania. Class V wells can allow for increased developable area due to a reduction in required stormwater basin size, and can reduce the potential for sinkholes. The evaluation consisted of a preliminary feasibility study to evaluate the capacity of underlying bedrock to accept the stormwater volumes to meet the stormwater management demands of the facility. 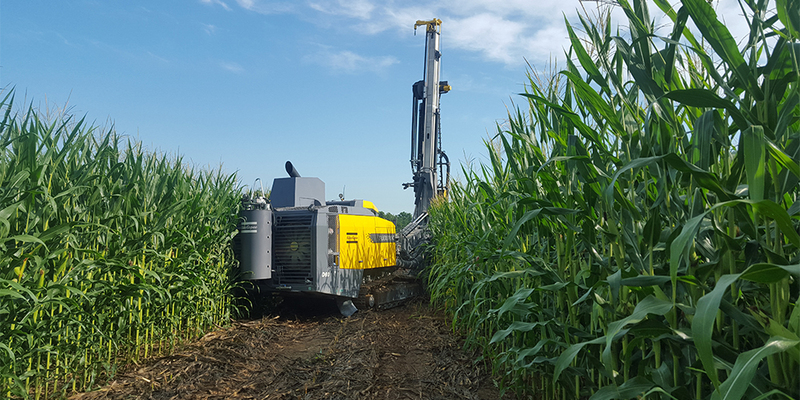 GTA coordinated the drilling and installation of Class V test wells at the site and performed hydraulic inflow testing on the wells to evaluate their capacity. Design inflow rates were estimated via hydrograph analysis and numerical groundwater flow modeling. GTA provided recommendations on the acceptances rates of individual wells, and the anticipated number of wells needed to meet the anticipated stormwater runoff volume. Our evaluation indicated that stormwater management through the use of Class V inflow wells was feasible. GTA was retained to oversee the drilling and hydraulic testing of additional wells to be put into operation. The Class V well system is operational, conveying stormwater volumes to the subsurface and enhancing groundwater recharge. 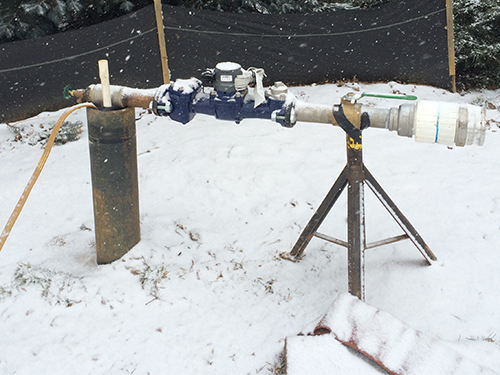 GTA performed a hydrogeologic evaluation for the use of Class V stormwater inflow wells for a new fitness center and spa located in Chester County, Pennsylvania. The purpose of the work was to evaluate the capacity of the underlying carbonate rock to accept the anticipated stormwater runoff volume from the site. Class V wells can allow for increased developable area due to a reduction in required stormwater basin size, and can reduce the potential for sinkholes. GTA observed the drilling and installation of Class V test wells at the site and performed hydraulic inflow testing on the wells to evaluate their capacity. Design inflow rates were estimated via hydrograph analysis and numerical groundwater flow modeling. GTA worked closely with the Client, Civil Engineer, and Township/PADEP reviewers to obtain a workable design of the Class V Stormwater inflow system. 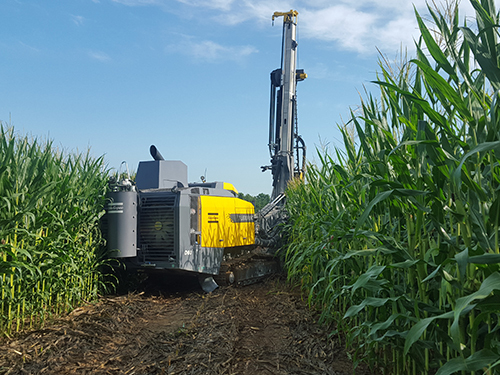 Our evaluation of the site included exploration of relatively deep soil areas via air track drilling, and performance of long term hydraulic testing to better understand the movement of water within the aquifer system underlying the site. The results of our evaluation indicated that stormwater management via Class V wells was feasible. GTA was retained to observe the drilling and installation of the remaining Class-V wells necessary to accept the anticipated stormwater runoff volume. The Class V well system is fully constructed for conveyance of stormwater volumes to the subsurface and for enhancement of groundwater recharge.